Learn to tell the time in French with this boxed set of 48 beautifully illustrated "time dominos" cards. 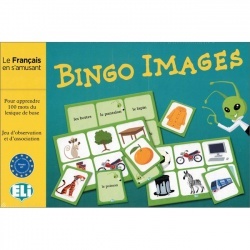 This game is equally suitable for children learning French as a second language, or for young native French speakers learning to tell the time. Please note that the supplied instructions are in French - we are able to supply an English translation on request (free of charge).